Dhaka Dynamites had been unbeaten till now before they lost their fifth match against Rajshahi Kings. Sylhet Sixers have been very inconsistent and have either come up with terrible performances or have surprised the opposition with a gritty display. The two teams have already met once before in the tournament when the Dynamites came out victorious. Sylhet Sixers have made a lot of changes in their playing XI, some of which have been forced. After Steve Smith underwent an elbow surgery, David Warner also injured his elbow and has flown back to Australia. Andre Fletcher is expected to replace Warner. Liton Das finally found form at the top of the order with a 43-ball 70. 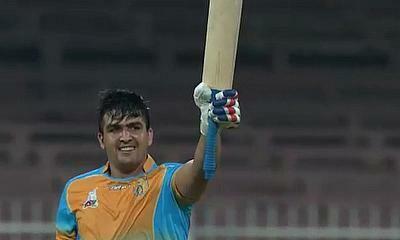 He got support from Shabbir Rahman who scored 20. David Warner also looked good for his unbeaten 61 and it is unfortunate that just as he was starting to get into his work, he got injured. Sandeep Lamichhane was back to his best in the last match with economical figures of 1-18. Sohail Tanvir has also been good in the three matches that he has played. Taskin Ahmed remains the team's highest wicket-taker. Hazratullah Zazai and Rony Talukdar have been exceptional for Dhaka dynamites at the top of the order. The team also gets balance from all-rounders Andre Russell, Shakib Al Hasan and Kieron Pollard.